From the beginning of the Cold War, the USSR and India shared a strong strategic military, economic and diplomatic relationship. At the collapse of the Soviet Union in the early 1990s, Russia automatically inherited this close relationship. This bilateral Indo-Russian relations remained robust even after India decisively opened its doors to the West in the late 1990s. The traditional pillars of Indo-Russian cooperation have remained defence, politics and diplomacy, nuclear energy, space, and anti-terrorism activities. Lately economic cooperation has also been highlighted by mutually setting a target of $ 30 billion in bilateral trade to be achieved by 2025. Both Indian and Russia are members of important international bodies like the United Nations, BRICS, G-20 and SCO and cooperate with each other in these groups on matters of shared interest. Russia publicly supports India’s bid to be given permanent membership of the UN Security Council. Currently Russia is the only nation, other than for Japan, to have a mechanism of annual ministerial level defence review with India. Further, the Indo-Russian Inter-Governmental Commission (IRIGC) is the largest governmental mechanism that India has with any nation. The IRIGC is represented by all Government Departments and meets annually. It acts as a de facto steering committee on Indo-Russian bilateral relations. Military relations between the two nations are governed by the annual Defence Ministerial meetings and has a long historical perspective of more than half a century, starting with the erstwhile Indo-Soviet defence agreements. Russia inherited the Soviet role as an automatic substitute on the political collapse of the Soviet Union. In 1997, India and Russia signed a ten-year agreement for further military-technical cooperation. India’s foreign policy has far too long been vainly straitjacketed by pious hopes that Indian appeasement policies of the 2004-14 era towards China and Pakistan would induce moderation in their adversarial stances against India. 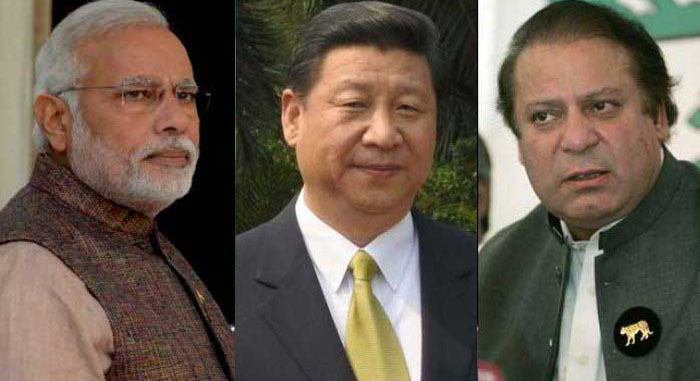 That hangover persisted for the period 2014-16 period till recently after incumbent Prime Minister Narendra Modi belatedly realised that all his personal diplomacy and political outreaches to China and Pakistan were not finding positive responses in neither Beijing nor in Islamabad. The strategic reality underscoring the Chinese and Pakistani lack of positive responses being that both singly earlier and now jointly, have a strategic convergence in arresting India’s emergence as a major Power. This further gets enmeshed with both China and Pakistan feeling nervous about India’s growing strategic proximity to the United States. While the Indian Armed Forces in their strategic thinking and contingency planning have for decades been alive to the possibility of a ‘Dual China-Pakistan Military Threat to India’, the resonance of such a reality did not find adequate echoes in the corridors of power in New Delhi nor reflected in any revised policy formulations on China and Pakistan. India’s cybersecurity grid has serious chinks in its armour. A severe shortage of trained professionals and the inability to produce them could cost India dear. Recent vandalisation of some Indian websites by hackers from Pakistan has excited public opinion in the aftermath of the surgical strikes carried out by Indian Special Forces across the the Line of Control in Pakistan-Occupied Kashmir. But the more serious attacks – before and after – have not attracted the attention they deserve. Consider this. On July 20, a prominent public sector bank in India suddenly witnessed $ 170 million disappear from its accounts. As the cybersecurity team desperately tried to track the outflow of funds, they could see payments being shifted to at least five countries in South Asia. By afternoon, the outflow had been sent to bank accounts in Vietnam, Cambodia, Taiwan, Malaysia and Hong Kong. The bank immediately alerted India’s Computer Emergency Response Team. India, and the country’s cybersecurity specialists began to track the transfer. Finally, they zeroed in on some key bank accounts in Hong Kong, which had received a large portion of the funds. Indian diplomats were asked to contact the bank that held the stolen money and asked to stop payouts until further notice. But the banks refused. With the Fall fashion season in high gear, five of Washington's best-known think tanks have revealed their views on what's in and what's out in modern warfighting. Although we tend to associate fashion with the frivolous, in fact styles come and go in every field, including the defense business. For instance, during the Eisenhower years the latest thing in warfighting was to equip military units at all levels with nuclear weapons. Today, that "New Look" is very much out of style, but the smart set in military studies is gravitating toward Silicon Valley-inspired ideas such as robotics and artificial intelligence. The Center for Strategic and Budgetary Assessments in effect made this Fashion Week in the military think-tank world by releasing on Monday the recommendations of five organizations that were asked to propose alternative defense postures for the U.S. The organizations, all prominent in commenting on security matters, ranged from the hawkish American Enterprise Institute to thedovish Cato Institute. The other three organizations all have the word "center" in their names, which is appropriate since each typically espouses centrist views on defense priorities suitable for attracting bipartisan support. So let's take a look at what's new and exciting on the fashion runway of military ideas -- and what's not. One formerly stylish idea that is very much out of fashion this year is national missile defense, meaning protection of the U.S. homeland against ballistic-missile attack. That idea was the centerpiece of U.S. military research in the Reagan era, but this year not one of the think tanks has proposed major new investment in active defenses against the sole existential threat to America. Analysts from the Center for a New American Security proposed a modest expansion of the very limited defensive network built on the U.S. West Coast to counter North Korea, but otherwise active defense of the homeland is apparently passé. All Powerful: Raheel Sharif has been deciding Pakistan’s foreign policy too. RELATIONS between Pakistan’s elected government and the country’s all-powerful military establishment become tense and coup prone whenever Nawaz Sharif is elected Prime Minister. This is rather ironical since Sharif entered politics with the blessings of the military in the early 1980s. The then military dictator General Zia-ul-Haq had sought the support of Nawaz’s father — industrialist and steel magnate, Mian Mohamed Sharif — to contribute for the establishment of a new Muslim League Party. General Zia’s military Governor in Lahore, Lt Gen Ghulam Gilani Khan, duly provided the support for Nawaz’s meteoric rise in politics. It was the backing of the military and the ISI chief, Lt Gen Asad Durrani, that enabled Sharif to cobble together an alliance of Islamist parties to prevail over Benazir Bhutto’s Peoples’ Party in 1992. Sharif’s whimsical and authoritarian functioning thereafter led to serious differences with then President Ghulam Ishaq Khan. The President was infuriated by the involvement of Sharif and his handpicked ISI chief Lt Gen Javed Nasir, in the 1993 Bombay bomb blasts. In the meantime, Sharif had developed an acrimonious relationship with his army chief, Gen Asif Nawaz, whose sudden death, attributed to arsenic poisoning, led to suspicions of Sharif’s involvement. Sharif was duly sacked by President Ishaq Khan, but briefly restored to office by the Supreme Court. The army chief, Gen Waheed Kakkar, forced both Sharif and the President, out of office shortly thereafter. 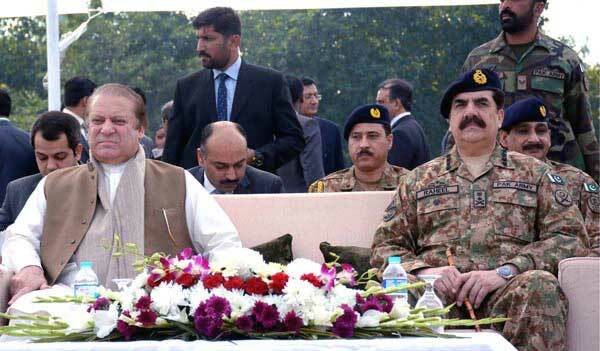 Sharif’s relationship with the army was equally stormy in his second term. He peremptorily sacked his highly respected and apolitical army chief, Gen Jehangir Karamat. He was then ousted, jailed and exiled by Karamat’s successor, Pervez Musharraf, following differences over who was responsible for the Kargil fiasco. India’s cross-LoC strikes on terrorist launch pads located in Pakistan-occupied Kashmir (PoK) have been much discussed in recent days. While the government has officially described the attacks on terrorist launch pads as ‘surgical’ and ‘pre-emptive’, some commentators have described it as ‘punitive’ and ‘retributive’ since these were conducted soon after the terrorist attack at Uri which led to a heavy loss of life among army personnel. Violent attacks by Pakistan-based terrorist groups on Indian targets have begun to occur at worryingly regular intervals. And there has been a clamour for retribution against these elements based in Pakistan after each dastardly attack. Notwithstanding heightened public sentiments for retribution, and even though it has threatened the use of force on a few occasions, India has generally observed ‘strategic restraint’ because of the fear of escalation. But its resilience and practice of ‘strategic restraint’ has earned India the reputation of a ‘Soft State’. In the light of the above understanding, the issue that needs to be considered is whether India, through its practice of ‘strategic restraint’ in the past, has encouraged Pakistan to continue with its support for non-state actors and wage war by proxy. Further, it also needs to be considered whether the recent cross-LoC strikes have firmly signalled India’s new reputation for resolve. What Is Reputation for Resolve? Every country has an army but Pakistan army has a country! The Pakistan army is an un-elected institution in itself which over the years have deliberately crafted, created and sustained an India-centric security narrative through two of its nefarious wing of ISPR and ISI. Through direct and indirect means, the army intervenes forcefully in the national narrative and promotes itself as the defender of the country’s ideology. That ideology, of course, is of its own making. One of the dirty departments of Pakistan military is ISPR (Inter-Services Public Relations). ISPR is headed for the first time by a three star General, since its inception. This was formed in 1949 to broadcast and coordinate military news and information to the country’s civilian media and the civic society and also to act as an interface between the armed forces, the media and the public. It has played the dual role of projecting India as its existential threat and on the other hand gathered national support for the armed forces at the public level. For achieving its aim, ISPR often resorts to any means including murder, bribery or intimidation of the electronic or print media. Assassination attempt of prominent Pakistani TV figure Hamid Mir in 2014 was allegedly being planned by ISPR and executed by ISI. ISPR actively engages with prominent media figures and present them with selected information that supports the army’s perspective. The co-option is done both nationally and internationally. Through direct and indirect means, the army intervenes forcefully in the national narrative and promotes itself as the defender of the country’s ideology. That ideology, of course, is of its own making. Liberal democracies, organized on the basis of social contract between the citizens and the state are increasingly facing terrorist attacks globally. As this new kind of undeclared war is unleashed on citizens of democratic states, their national security sectors are obliged to develop appropriate military response. Consequently, policies have to be enunciated, doctrines have to be defined and capacities have to be built for effective action against terror threats. As any response requires consistency and coherence in using tools of dissuasive, preventive or punitive deterrence, a policy tool-box is required to provide a range of pro-active, reactive, covert or overt options. Should a democratic state find itself unable to deter terrorist attacks on its citizens, because of escalation concerns of an open-ended conflict, its social contract with its citizens loses credibility. Over the past two decades, India has had terrorist strikes as elements of Pakistan’s policy of using non-state actors as proxies. These decades also provide evidence that India has not articulated and developed counter-terrorism doctrines that graduate from strategic restraint (which has come to mean avoidance of escalatory responses that may spin out of control) to pro-active dissuasion or deterrence. In this way, India’s national security decision-making has yielded space to Pakistan’s undeclared war that includes: mobilization of large number of non-state actors as proxies; arm and train them covertly for terrorist attacks on Indian targets to include civilians, while maintaining deniability of state support. Even though terrorism is a global phenomenon, terrorism against India is unique in its design that has an overlay of threat of nuclear escalation. International law obligates all states to ensure that their territories are not used by non-state actors to terrorize citizens across the world. Actions against Taliban-controlled Afghanistan and Osama in Abbottabad are recent illustrations of legitimacy of such military responses. Even though the Pakistani state claims that it is not complicit in trans-border terrorism, its failure to prevent such crimes, ipso facto amounts to abetment. In such cases, if international military action does not come together to restore rule of law in territories from where international terrorists operate, then any victim State reserves a legitimate right to protect its citizens through preventive or punitive deterrence using military as well as non-military means at its disposal. Wrong Call: Who are leading these children, and to what end? He asserted: “The gun can solve no problems. Issues can be guided by the three principles of insaniyat (humanism), jamhooriyat (democracy) and Kashmiriyat”. Mr Vajpayee’s words came after the military faceoff with Pakistan after the Parliament attack had ended, in October 2002. Back channel talks were under way with Pakistan, which resulted in a ceasefire across the LoC in November 2003. In January 2004, India agreed to resume talks with Pakistan, following an assurance from President Musharraf that “territory under Pakistan’s control” would not be used for terrorism against India. Dialogue with Pakistan was resumed only after this categorical assurance. While Pakistan broadly abided by this assurance, till Musharraf was President, terrorism resumed in 2008, with an attack on our embassy in Kabul, followed by the 26/11 strike. We ignored Mr Vajpayee’s preconditions for dialogue and paid a heavy price. We have now asserted that dialogue with Pakistan and terrorism cannot proceed side by side. This has come when we are witnessing violence in the Valley following the killing of Burhan Wani, a Facebook poster boy, given to carrying an ISI-supplied AK-47. Efforts are under way for a “dialogue” with “Kashmiris”. But this dialogue has to be inclusive. It is not meant just to accommodate the “aspirations” the people of the Valley, who constitute some 52 per cent of the population, while residing in around 16 per cent of the territory of J&K. Those representing the people of Jammu, Kargil and Ladakh, including from communities like the Gujjars and Bakarwals, have to be included in any comprehensive dialogue. While the security situation has to be managed with firmness, it is time to frankly state that the essence of Kashmiriyat is tolerance and respect for pluralism. How to make sure that you don't face potential threats and limit damage from one of the biggest debit card data leaks ever reported in India. In what is being described as one of the biggest ever breaches of financial data in India, approximately 32 lakh debit cards in India are said to have been affected as customers reported unauthorised usage from locations in China. The banks worst hit from the cybersecurity attack are reported to be State Bank of India, Yes Bank, ICICI Bank and Axis Bank, among many others. The data breach appears to have affected international card issuers such as MasterCard and Visa, along with India’s RuPay, which together make up for the bulk of 697 million debit cards issued in the country. As banks investigate the breach on facing the music from the government and the Reserve Bank of India, they are requesting customers to either replace their debit cards or change their ATM passcodes – depending on the vulnerability of each card holder. While the card breach seems to be the tip of the iceberg of the technological vulnerabilities in the digital banking ecosystem as banks like Yes Bank, Axis Bank and ICICI Bank started requesting customers to change their ATM password in the past few weeks – indicating a problem that was recognised much earlier than it was reported or disclosed in the public domain by the banks. Meanwhile, authorities suspect more vulnerabilities in the system and have begun to investigate the breach through a forensic audit ordered by the Payments Council of India on the whole server and network infrastructure of the banking system in the country. In his zeal to harvest political capital from the Indian army’s recent action targeting terrorists along the Line of Control, Modi has conveniently forgotten that the Israeli army’s ‘valour’ has been against people fighting foreign occupation. File photo of Israeli police officers on the roof of the Al-Aqsa mosque in Jerusalem. Credit: Reuters. Israel is not India and Pakistan-occupied Kashmir is not Occupied Palestine or Lebanon – where the Israeli army regularly violates the United Nations charter and the laws of war to attack people fighting to end the foreign occupation of their homeland. All of these distinctions seem to have been lost on Prime Minister Narendra Modi in his zeal to harvest political capital from the Indian army’s recent action targeting terrorists along the Line of Control in Kashmir. Speaking at a public function in Himachal Pradesh on Tuesday, Modi appeared to compare the Indian army’s targeted action along the LoC to the Israeli policy of targeted assassinations and full-fledged aggression against the people of Palestine and Lebanon. “Our army’s valour is being discussed across the country these days. We used to hear earlier that Israel has done this. The nation has seen that the Indian Army is no less than anybody,” PTI quoted him as saying. Recent reports have pointed to China blocking the Xiabuqu tributary of the Yarlung Zangpo River (Tibetan name for Brahmaputra) for a dam project. The 195-km long Xiabuqu originates at Bainang and joins the Brahmaputra at Xigaze, close to Sikkim. The construction of the dam as part of the Lalho hydroelectric project at Xigaze reportedly began in June 2014 and is expected to be completed by 2019. The project has been viewed with concern in India, which is a lower riparian state. The Yarlung Zangpo flows 1625 kms in Tibet before entering Arunachal Pradesh as the Siang. Further down, after confluence with the Dibang and Lohit, it is known as the Brahmaputra. In Bangladesh, it merges with the Ganga and empties into the Bay of Bengal. China has tried to allay India’s apprehensions by stating that the project is not designed to hold water. It further claims that the Xiabuqu’s mean discharge volume is barely 0.02 per cent of the Brahmaputra’s average annual trans- boundary discharge, which latter is estimated at 142.37 cubic km. Earlier, Beijing had vehemently denied undertaking any dam construction activities on the Brahmaputra in Tibet. It was only in 2010 that the then Chinese Foreign Minister Yang Jiechi formally acknowledged the construction of the Zangmu dam. China’s closed door political system is shrouded in secrecy, leading to trust deficit. In the absence of an effective water sharing mechanism, the construction of the dam on the Xiabuqu could emerge as another irritant between India and China. Beijing’s elaborate plans to harness the waters of the rivers in Tibet have serious strategic and socio-economic implications for India. Despite threats by the Saudi government to sellbillions of dollars’ worth of their assets and reexamine the bilateral relationship with the U.S., Congress snubbed the monarchy and passed the bill, then overturned a presidential veto to it almost unanimously. Iran’s way of thinking and approach to international issues can be analyzed as a special model and style. From historical viewpoint, Iran’s name, which is a combination of “er” and “en” means a noble people. Iran’s civilizational, cultural, religious, political, and ethnic backdrop in addition to its Islamic and Iranian as well as Shia identity and the country’s historical role in global politics has led to creation of a special form of sense of responsibility in the country’s strategic thinking. The sense of responsibility, as a complement to the sense of belonging, and the need to pay attention to new retrenchments has created a trilateral move in the strategic thinking of the Islamic Republic of Iran’s foreign policy. The aforesaid three feelings, which are essential to analyzing Iran’s foreign policy and diplomatic apparatus, can reveal remarkable realities in the field of international politics. Various types of practical manifestations of the sense of responsibility in Iran’s foreign policy can be seen since the beginning of the third millennium in the form of the country’s reactions to various global crises. Reactions shown by Iran to the war in Afghanistan in 2001, the war in Iraq in 2003, the 2008 Israeli war on the Gaza Strip, the Arab Spring developments, the crisis in Syria (2011-2016), and other crises in Iraq, Yemen, Lebanon, Afghanistan, and Palestine, clearly indicate the powerful impact that the sense of responsibility toward neighboring countries as well as other regional and international actors has had on Iran’s foreign policy. Therefore, in line with this policy and in order to realize its desirable regional balance, during the past decade and based on its fair and expedient approaches, Iran has activated its influence and bargaining tools at global and regional levels in the fields global and regional diplomacy. Four days ago, the U.S. defense secretary was predicting a ‘lasting defeat’ of ISIS. Now, a top general is warning that the terror group is preparing for a guerrilla war. The capital of the self-proclaimed Islamic State in Iraq is now under assault. But ISIS isn’t going anywhere. Instead, the terror group is beginning to rebrand itself from a “caliphate” to an insurgency, a top U.S. general fighting ISIS said Wednesday. It’s much more than a change of name, or even a shift in tactics. It could well mean that there will be no “lasting defeat” of ISIS, even if it loses control of Iraq’s second-largest city, despite Secretary of Defense Ash Carter’s claim of such a victory just four days ago, when the Iraqi campaign for Mosul began. After two years of either training local forces to fight ISIS or hitting the terror group with airstrikes, U.S. officials said they believe it still could evolve into the kind of threat that has plagued Iraq since shortly after the 2003 U.S. invasion. Fighting that insurgency cost as much as $2 trillion, according to one estimate, and the lives of nearly 5,000 American troops. At its peak, 170,000-plus forces were required to weaken that uprising. It would be the most bitter of ironies if, years later, Iraq once again devolved into a guerrilla war. An ISIS insurgency could use its foreign fighters to threaten not only Iraq but the West as well. And it likely would fall to nascent Iraqi fighters, who justtwo years ago ditched their weapons and uniforms in Mosul, to repel ISIS and launch a counterinsurgency. The Islamic State group is expected to fall back from its outer perimeter defenses in Mosul and wage what could be brutal urban combat inside the city of about 1.5 million people, a U.S. military official said Friday. That could mean street-by-street fighting for U.S.-backed Iraqi and Kurdish troops as the extremist group employs snipers, human shields and chemical weapons, the official said. The group showed another element of its strategy – distraction – with a suicide assault Friday in Kirkuk about 100 miles to the southeast. The battle to retake Mosul, which has already claimed the life of a U.S. sailor, is only beginning and could take weeks or months. About 4,800 U.S. troops including embedded special operators are backing about 30,000 Iraqi and Kurdish forces who this week launched the offensive, which is the biggest operation yet against the Islamic State group. Chief Petty Officer Jason C. Finan, 34, of Anaheim, California, who was with Iraqi forces northeast of Mosul, died Wednesday after his vehicle was hit by an improvised explosive device, becoming the first casualty among the U.S. troops working on the front lines. Controlling territory is at the core of the group's ideology, but it isn't everything. Territory is arguably both ISIS’s greatest strength and its greatest weakness. The land the group seized in Syria and Iraq, which at its peak was thought to be as large as the kingdom of Jordan, enabled the Islamic State to aspire to its grandiose name by declaring a caliphate, drawing recruits from around the globe, and distinguishing itself from the world’s stateless terrorist and insurgent groups. But that land has also served as a big, fat target for ISIS’s enemies, who have been pummeling the organization from the air and on the ground. By one estimate, ISIS has lost 16 percent of its territory so far in 2016, after losing 14 percent in 2015. It has recently retreated from the Iraqi cities of Ramadi and Fallujah, the Syrian-Turkish border, and the Syrian town of Dabiq, where ISISmembers once prophesied a literally apocalyptic battle with infidel armies. This week, a motley crew of forces launched a massive assault on ISIS’s last Iraqi stronghold of Mosul. Each square mile lost chips away at ISIS’s reason for being. As my colleague Graeme Wood wrote last year, “Caliphates cannot exist as underground movements, because territorial authority is a requirement.” What exactly is the Islamic State, if the “state” all but disappears? ERBIL, Iraq — The Iraqi military’s operation to retake the northern city of Mosul after more than two years of Islamic State occupation could require months, even with American help. But the recapture may turn out to be the easy part. If history is a guide, vast parts of Mosul, once Iraq’s No. 2 city with about two million inhabitants, could be left in smoldering ruins by retreating or die-hard Islamic State fighters who may use remaining civilians as shields and booby-trap entire neighborhoods with improvised bombs. Just clearing these explosives could take months or years. 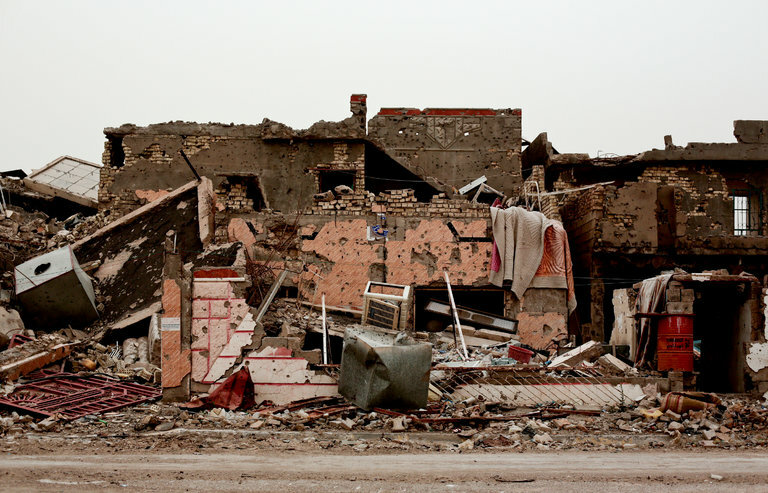 Ramadi, the capital of heavily Sunni Muslim Anbar Province, about 70 miles west of Baghdad, once had a population of at least a half million. Although occupied by the Islamic State for only half a year, much of the city was obliterated in the Iraqi military’s prolonged campaign to retake it, which included hundreds of bombing runs by American warplanes and block-by-block combat with Islamic State fighters who created a network of underground tunnels and hide-outs. Many residents fled, staying in camps for internally displaced people administered by the United Nations and other aid groups. The long anticipated battle against the Islamic State (ISIS) in Mosul has now officially begun. Iraqi Prime Minister Haider al-Abadi is already declaring that his country will “celebrate victory as one" because “Today I declare the start of these victorious operations to free you from the violence and terrorism of Daesh (ISIS).” While his enthusiasm is understandable, early signs outside of Mosul already augur some troubling problems. I traveled to the Peshmerga front lines on the eastern approaches to Mosul two months ago and have written on the considerable military challenges facing the combined liberating forces. Yet even before any of the hard fighting has begun, the political and diplomatic challenges facing the anti-ISIS coalition have risen to dangerous levels. These challenges may ultimately prove more formidable than the street fighting within the city itself. United Nations and other aid agencies continue to warn of potential catastrophe for civilians that are expected to flee as the fighting escalates in the coming weeks and months. Under-Secretary-General for Humanitarian Affairs Stephen O’Brien said there is presently only space for 60,000 displaced persons. They are in the process of constructing facilities to accommodate a total of 250,000. Analogies between Greek mythology and contemporary Greek politics come easily these days. If Greece’s financial crisis was akin to the hubris of Daedalus flying too close to the sun before crashing disastrously to Earth, Athens’ current role in abetting Russian interference in European politics surely lends itself to a comparison with the siege of Troy and the wooden horse filled with saboteurs who opened the city gates, allowing it to be overrun by its enemy. Only in the modern setting, the Trojan Horse would be filled not just with Greeks, but with a host of European discontents from Italy to Hungary who seem poised to gift Vladimir Putin the keys to Europe. The lack of unity in the EU response to Russian support of Bashar al-Assad’s forces in the Syrian civil war is the latest manifestation of discord between Europe’s hawks and doves when dealing with Russia. Although the EU’s 28 foreign ministers did come to an agreement on a statement condemning Russia’s air campaign over Aleppo as “clearly disproportionate” and “the deliberate targeting of hospitals, medical personnel, schools and essential infrastructure” as possible war crimes, the bloc’s bid to enact further sanctions against Russia fell through on October 20. Besides Greece, Cyprus, and Hungary have also voiced opposition to new sanctions, as has Italy, which has broad economic ties with Moscow and was the star participant at this year’s Sankt Petersburg International Economic Forum – Russia’s Davos. That the EU should be so riven by disagreement at a time when the Kremlin is upping the ante against the West to alarming levels is a cause for serious concern. Not since the depths of the Cold War have relations been so fraught between Moscow and Western capitals that troop movements and nuclear threats are commonplace in Europe’s political landscape, and yet that is exactly the situation we find ourselves in today. Nuclear-capable Iskander-M missiles being moved into the Russian enclave of Kaliningrad, within easy range of Poland and the Baltic states and with further modification, Berlin; NATO battalions and British soldiers being sent to the region as a deterrent; and regular incidences involving Russian fighter jets entering European airspace with RAF jets beings scrambled in response. All evidence of how rapidly relations have deteriorated since Russia’s annexation of Crimea in the early stages of the Ukraine crisis. The Russian Defense Ministry has launched a closed segment of the internet for transferring classified data. Computers in the network are protected against connection to unverified devices and access to the servers is strictly controlled. The Russian military have been provided with a secure network that is not connected to the global web. In the army it is known as a "Closed Data Transfer Segment" (ZSPD). “The latest work has been completed and now the network is fully operational. We are now planning to expand it by installing additional terminals at military units and departments,” a source at the Russian Defense Ministry told the Izvestiya daily. According to media reports, computers inside the new network are protected against connection to data storage devices that have not passed security clearance – USBs, hard drives, etc. The Defense Ministry also now has its own mail service, which allows the military to exchange all documents – reports, notifications, applications, etc. – including classified materials. “Information servers have been set up at each military unit. Access to these server rooms can be granted only by the commanding officers of the military unit in question,” a source in the military-industrial complex told RBTH. As demonstrated by the recent wave of attacks, terrorists find ways to thwart counter-terrorism defences. However, for leaders who seek it, there is a simple and cost-effective solution to create lasting peace known in military circles as Invincible Defense Technology (IDT). Although militaries are adopting IDT, unfortunately no concrete action has yet been taken by leaders in other troubled, highly stressed areas. Obviously, current counter-terrorism approaches are not working and may actually inspire even more terrorism. Here is a way to prevent terrorism by deploying a simple, proven, advanced human resource-based military technology, with minimal costs and training needed to implement it. For most countries, it would cost less than one modern fighter jet. How does it work and how is it applied? On an April afternoon earlier this year, Russian president Vladimir Putin headlined a gathering of some four hundred journalists, bloggers, and media executives in St. Petersburg. Dressed in a sleek navy suit, Putin looked relaxed, even comfortable, as he took questions. About an hour into the forum, a young blogger in a navy zip sweater took the microphone and asked Putin what he thought of the "so-called Panama Papers." The blogger was referring to a cache of more than eleven million computer files that had been stolen from Mossack Fonseca, a Panamanian law firm. The leak was the largest in history, involving 2.6 terabytes of data, enough to fill more than five hundred DVDs. On April 3, four days before the St. Petersburg forum, a group of international news outlets published the first in a series of stories based on the leak, which had taken them more than a year to investigate. The series revealed corruption on a massive scale: Mossack Fonseca's legal maneuverings had been used to hide billions of dollars. A central theme of the group's reporting was the matryoshka doll of secret shell companies and proxies, worth a reported $2 billion, that belonged to Putin's inner circle and were presumed to shelter some of the Russian president's vast personal wealth. When Putin heard the blogger's question, his face lit up with a familiar smirk. He nodded slowly and confidently before reciting a litany of humiliations that the United States had inflicted on Russia. Putin reminded his audience about the sidelining of Russia during the 1998 war in Kosovo and what he saw as American meddling in Ukraine more recently. Returning to the Panama Papers, Putin cited WikiLeaks to insist that "officials and state agencies in the United States are behind all this." The Americans' aim, he said, was to weaken Russia from within: "to spread distrust for the ruling authorities and the bodies of power within society." Though a narrow interpretation of Putin's accusation was defensible—as WikiLeaks had pointed out, one of the members of the Panama Papers consortium had received financial support from USAID, a federal agency—his swaggering assurance about America's activities has a more plausible explanation: Putin's own government had been preparing a vast, covert, and unprecedented campaign of political sabotage against the United States and its allies for more than a year. The first, and worst, attack was resolved by 9:20 a.m. EDT on Oct. 22, but disruptions continued throughout the day. Twitter, for example, was still experiencing outages at 4 p.m.
Friday’s internet disruption could be a taste of what’s to come when nations and non-state actors stop using the web and start attacking it. Like poor John Hurt’s character in Alien, the internet is infected with a monster that turned on its host. Instead of using the network to send propaganda videos, or dump emails, or destroy centrifuges, Friday’s attack harnessed thousands of connected devices to take down parts of the internet itself. The basic pattern of a DDoS attack is nothing new: an attacker uses malware to recruit internet-connected computers into a globe-girdling robot army, which upon command overwhelm their target with unwanted requests. What’s changing is the tremendous growth in the Internet of Things, or IOT, the devices — from PCs to home routers to smart refrigerators — that we attach to the net. Far too many of these are installed with widely known factory-default passwords or other vulnerabilities, making them easy recruits for bot armies.